Yesterday the The Medicines and Healthcare products Regulatory Agency (MHRA) confirmed that over 320,000 doses of unlicensed erectile dysfunction medicines have been seized by their enforcement officers. The huge quantity of potentially fatal unlicensed impotence drugs came about following raids at addresses across Scunthorpe yesterday, carried out by MHRA officers. The illegal and possibly highly dangerous haul of unlicensed drugs have a reported estimated street value of over £990,000. Alastair Jeffrey, MHRA Head of Enforcement, commented: “Selling unlicensed medicines is illegal and poses a serious health hazard. 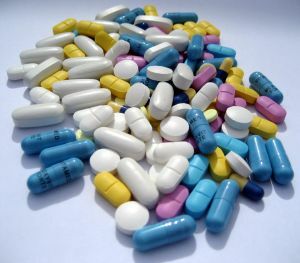 “Unlicensed medicines can be dangerous as they may contain impurities, incorrect ingredients, and there is no way of knowing if they are manufactured to acceptable standards of quality and safety. “Criminals involved in the illegal supply of medical products aren’t interested in your health – they are only interested in your money. “Be careful buying medicines online – only buy from a site that is registered with MHRA and displays the new EU common logo. 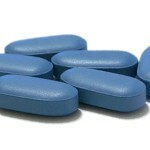 Here at Medical Specialists® Pharmacy, we only supply genuine branded medication such as Pfizer Viagra. Moreover, our pharmacy will only dispense medication after a patient has undergone a consultation with one of our fully registered doctors, who will make sure the medication is both right and safe for the patient – or if a private prescription is posted in, issued by another GP. In addition to that, we are fully registered with the National Pharmacy Association and the General Pharmaceutical Council (GPhC). 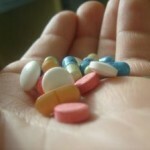 With thousands of illegal fake online pharmacy websites still plaguing the internet, offering ‘discounted’ medicines with ridiculous (and illegal) deals on prescription drugs – i.e. ‘buy one get one free’ – it can be difficult to know who to trust or where to buy from.
. 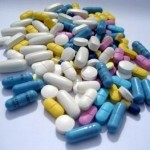 The price of the medication is a lot cheaper than what would be expected, sometimes by as much as 70%. 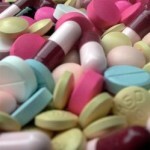 April 11, 2013 -- $3.6 million of counterfeit drugs seized in the U.S. This entry was posted in Cialis, Levitra, Men's Health, Viagra and tagged counterfeit medicines, counterfeit viagra, fake drugs, fake impotence drugs, fake viagra, Pfizer Viagra. Bookmark the permalink.